This entry was posted on October 31, 2010 by heedina. 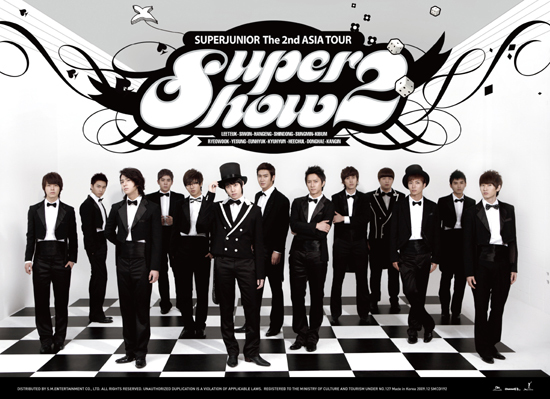 It was filed under Boy Band, Concert/Show, Live Performance, Official, Videos and was tagged with kim kibum super junior, Super Junior, Super Junior Donghae, Super Junior Eunhyuk, Super Junior Hangeng, Super Junior Heechul, Super Junior Kangin, Super Junior Kyuhyun, Super Junior Leeteuk, super junior ryeowook, Super Junior Shindong, Super Junior Siwon, Super Junior Sungmin, Super Junior Yesung, Super Show. I like this web blog very much, Its a really nice spot to read and find information.